There have been several very exciting projects that I recently completed, that I am happy to announce the release of. Albert Castiglia's "Solid Ground" will be available on Ruf Records 2/18/14 (Europe), and will be released in the US in April. This project shows a side to Albert that is sure to surprise the roots music world. His vocal delivery, phrasing and inflection tells a story throughout this album, and his guitar matches that level of taste, complexity and emotion. This album is the album I've always dreamed about making with Albert. He totally delivered everything he's got, and everything he didn't know he had. Truly a special record. Around the same time, Mikey Junior's "Traveling South" will be released on the VizzTone Label Group on 3/25/14. Just like Albert's recording, Mikey has made a statement with his 8th release. Powerfully dynamic vocals, and swamp filled textures running through each track, Mikey is truly at his finest with this project. Well-written originals and choice covers are brought to life with a vision that truly separates Mikey from his contemporaries. It will be released on CD, and a limited edition vinyl double album. Seriously, check this one out! 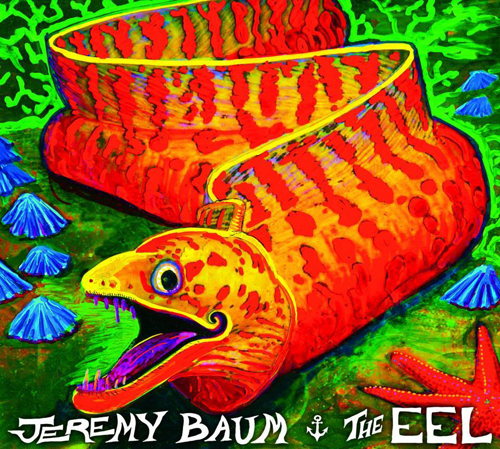 Just released this past week is Jeremy Baum's "The Eel". Jeremy is a regular at the studio, in fact he's playing Hammond B3, piano and wurlitzer on both Albert and Mikey's albums. On his sophomore release, he knocks it out of the park with 10 Hammond organ and piano driven arrangements, backed by a stellar cast of musicians. Dripped in soul and classic roots music, this is a unique and diverse album that was incredibly inspiring to be in the making of. On his first solo release, "Tiger Man" (EP), Dean Shot puts down some incredibly deep blues and classic R&R. One foot in the tradition, and one that floats between genres, Dean makes an impact on his debut release. He also appears on Mikey Junior's "Traveling South", lending the same kind of talent to both projects. "Tiger Man" also includes tenor saxophone giant, Greg Piccolo, who was amazing to work with. Look for Dean's upcoming full length release in the coming months. I am honored to be a part of each and every one of these albums. Do whatever you can to support these artists, and pick up a copy of each of these outstanding recordings. Enjoy!